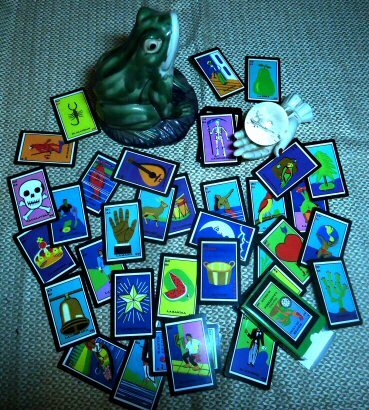 This is my La Loteria Oracle Deck. 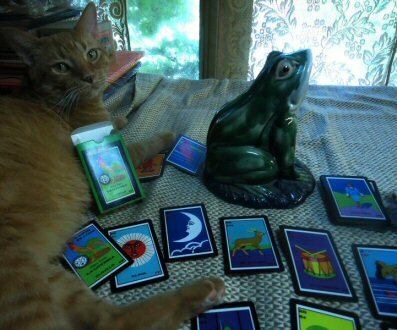 I created this deck for the primary purpose of cartomancy or divination with cards. 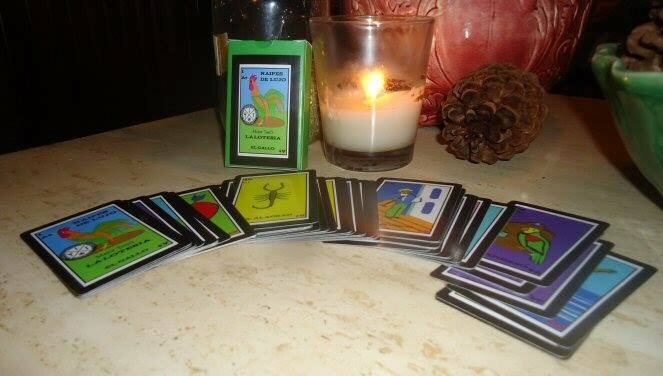 The unique feature of this deck is the one to one correspondence between the 54 La Loteria cards and poker playing card deck with two jokers. Valentina Burton made the correspondence for these cards. Another unique feature is all the images are created from construction paper - which limited the color palette to 14 colors. These are sturdy, full color, playing cards that shuffle easily. 2.25 by 3.5 inches or bridge size. The good news is you can now purchase these cards at the Game Crafter for only $13.99 where you can also download the little white book for the deck for free!